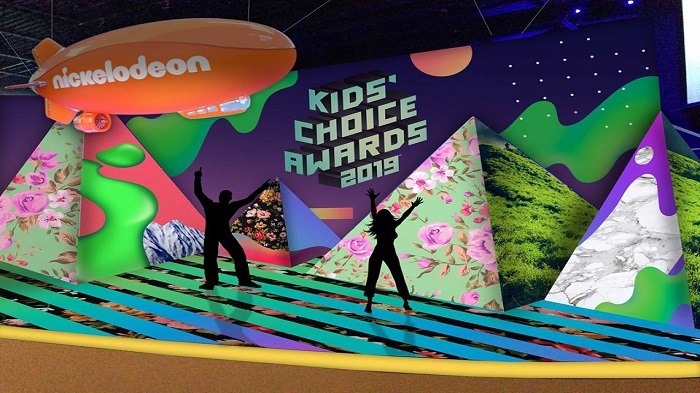 Nickelodeon’s Kids’ Choice Awards (international) 2019 witnessed a starry affair including Chris Pratt, Taylor Swift, Ariana Grande, Ellen DeGeneres, Adam Sandler, Robert Downey Jr. and many others, who won the coveted orange blimps on 23 March. Hosted by music mogul DJ Khaled and assisted by Kylie Jenner and the Jonas Brothers, the awards show was broadcast live from USC’s Galen Center in Los Angeles, where kids celebrated their favourites in pop culture, television, music, social media and movies. This year’s party kicked off with DJ Khaled’s arrival with a ride in a Rolls Royce Phantom, followed by a cruise on a luxury yacht, and a trip on board the ‘Kids’ Force One’ helicopter, before landing at the Kids’ Choice Awards. Besides that, Isabela Moner, Eugenio Derbez and Michael Peña, from Dora and the Lost City of Gold, world premiered the trailer for the upcoming Paramount Players live-action movie. 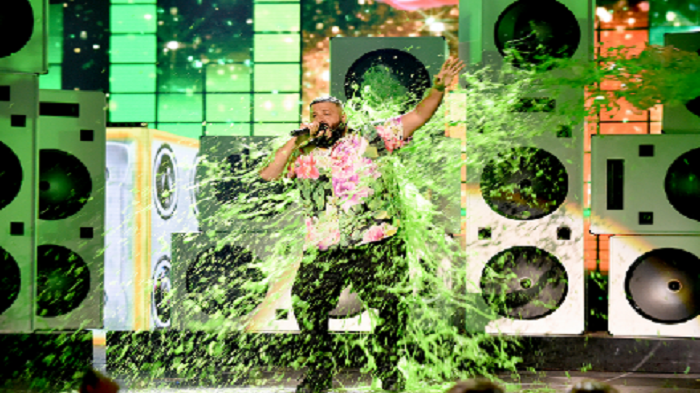 Social media star David Dobrik, Chris Pratt, Josh Peck and Adam Sandler were soaked from head to toe and the show culminated with DJ Khaled turning up the volume one last time with the biggest sliming of the night, blanketing the first-time host and the crowd. Additional celebrities in attendance consisted of Paris Berelc, Ally Brooke, Lana Condor, Joel Courtney, Jennifer Hudson, Jack & Jack, Liza Koshy, Caleb McLaughlin, Janelle Monáe, Shameik Moore, Bebe Rexha, Kiernan Shipka, Lilly Singh, SSSniperWolf, Jason Sudeikis; cast members of Shazam! -Asher Angel, Jack Dylan Grazer and Zachary Levi), and Fuller House -Andrea Barber, Soni Nicole Bringas, Candace Cameron Bure, Michael Campion, Elias Harger, Jodie Sweetin and Scott Weinger); as well as Nickelodeon stars from Henry Danger, Cousins For Life and Knight Squad. Multi-platinum hip-hop trio Migos performed their hits Walk It Talk It and Stir Fry, along with rising single Pure Water, accompanied by DJ Durel. Members of the original Broadway cast of SpongeBob SquarePants: The Broadway Musical Allan Washington (Plankton), Brian Ray (Mr. Krabs), Christina Sajous (Sandy), Danny Skinner (Patrick), Ethan Slater (SpongeBob) and Gavin Lee (Squidward), also made their KCA debut with a medley of ‘Best Day Ever’ and the animated show’s iconic theme song. Sponsored by Barbie, Chobani Gimmies, Cinnamon Toast Crunch, Goldfish Epic Crunch, Lysol and The LEGO Group, Nickelodeon’s Kids’ Choice Awards 2019 is produced by Nickelodeon Productions. Elizabeth Kelly, Michael Dempsey and Jay Schmalholz serve as executive producers. Production is overseen by Unscripted Content executive vice president Rob Bagshaw. Nickelodeon’s Kids’ Choice Awards 2019 will see a repeat telecast tonight 8pm (ET/PT). Fans can go to KCA2019.com or the Nick App to relive all of their favourite show moments by watching video highlights from the live show and flipping through live event pictures.